Pressed Black Cumin Oil is obtained by careful mechanical pressing of Nigella sativa L. (Ranunculaceae) seed with subsequent filtration, but without further treatment (e.g. deacidification, bleaching deodorization). The plant is cultivated in Southern Europe and Western Asia. Black cumin seed oil (nigella sativa or kalonji) contains over 100 components which work together synergistically. 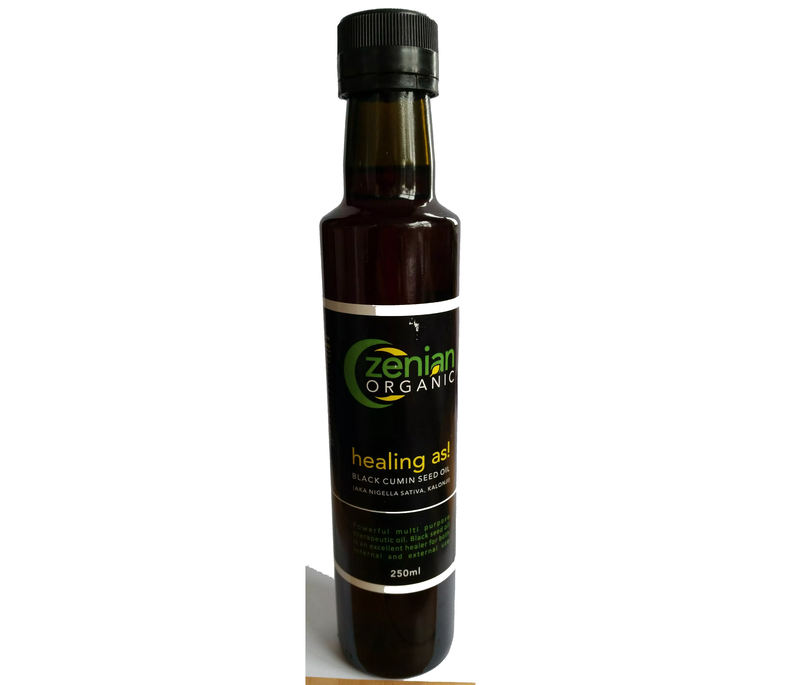 It comprises 20% protein, 35% carbohydrates, 35-45% vegetable oils and fats, Omega 3 and Omega 6, essential oil 0-4.5%, trace elements and enzymes.